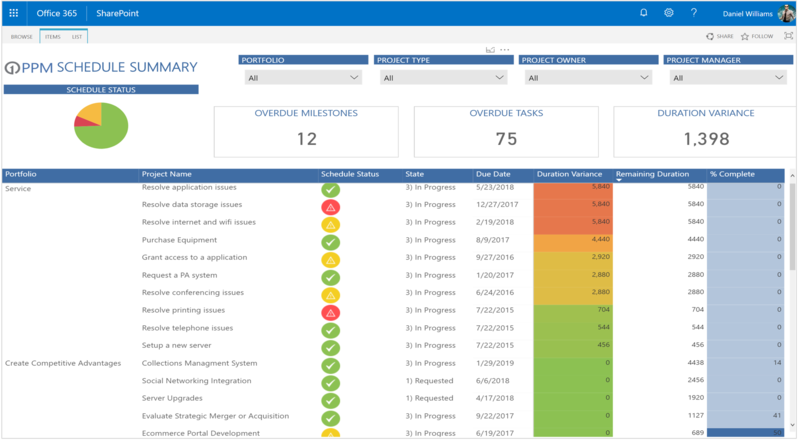 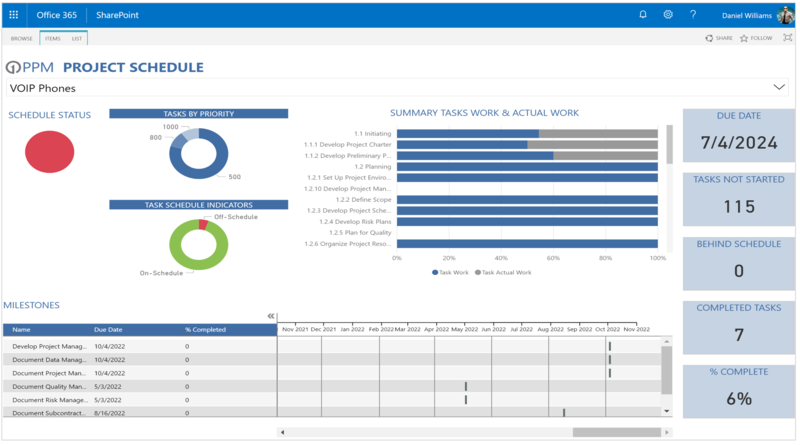 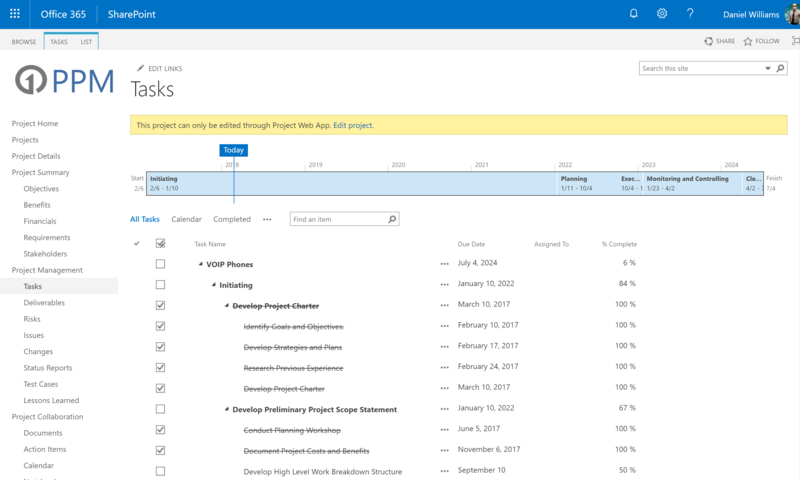 The Tasks app replicates the project’s schedule into an easy to view list of tasks in the Project Online Project Workspace. 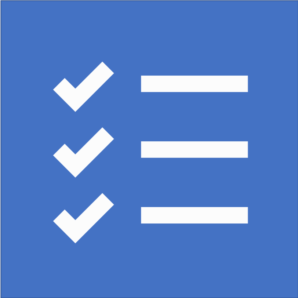 This list is kept up to date automatically by Project Online when updates to the project plan are published. 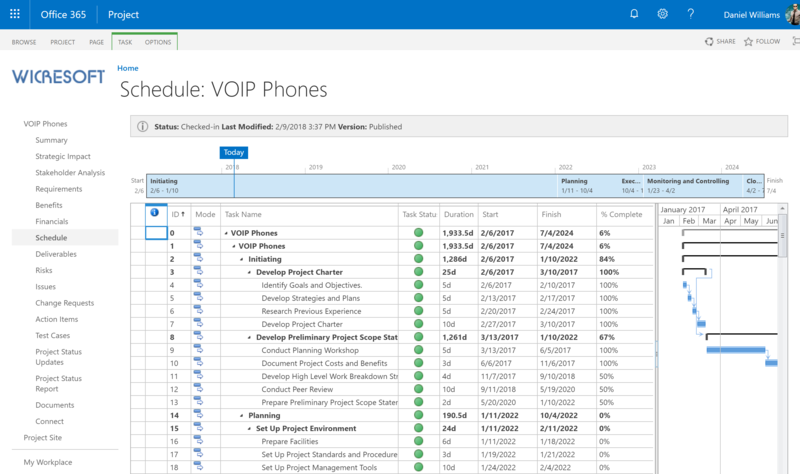 Available at the Project Online Project Workspace sub-site level.